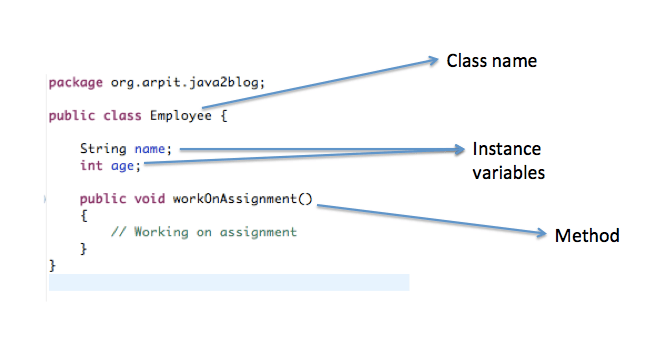 In this post, we will learn about Object and class in java. As Java is an object-oriented programming language, we need to design our program using Objects and classes. Object: An entity that has state and behavior may be termed as Object. For example: Employee has state with name, age and department, and behavior such as working on the assignment. Class: A class is a blueprint/template that defines state and behavior of objects. For example: Employee is a class in above example. Object is an instance of class: As object are created on the basis of blueprint/template that class provides, Object is an instance of the class. 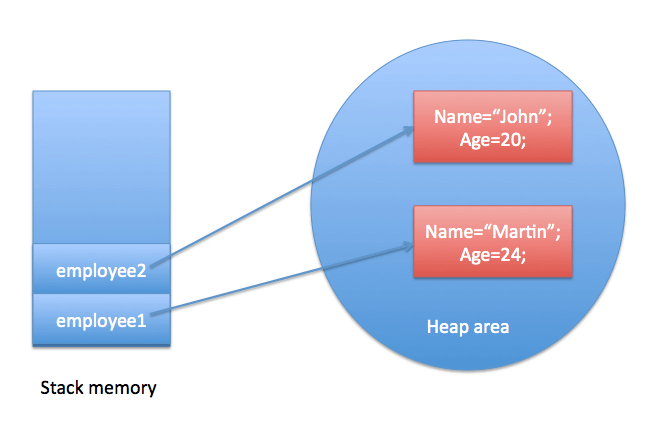 Objects are stored in heap memory. Now let’s create two objects i.e. employee1 and employe2 and set name and age for these two objects. Object are created using constructor with the help of new operator. We will see more about in subsequent tutorials. 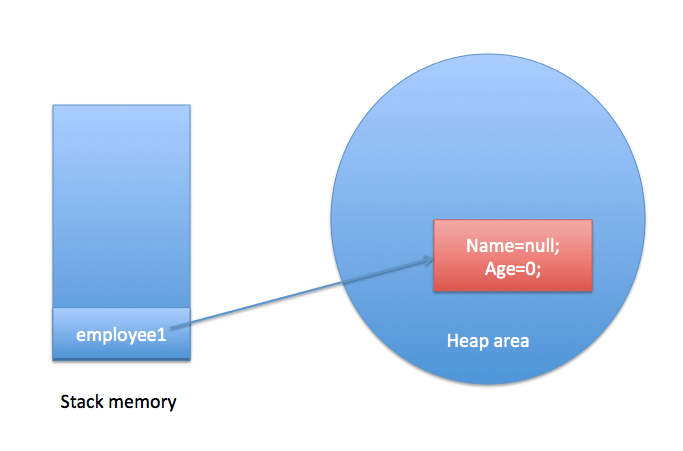 that’s all about Object and class in java.